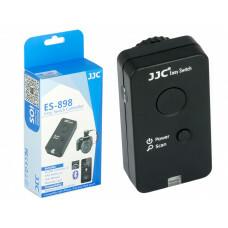 JJC ES-898 Easy Switch Controller allows you trigger your camera through your smart-phone. Just use .. This kit includes one YN622C-TX transmitter and one YN622C transceiver for Canon camera. This produc.. This kit includes one YN622N- TX transmitter and one YN622N transceiver for Nikon camera. This produ..
YN-622N-TX i-TTL wireless flash controller is for supporting the use of YN-622N i-TTL wireless flash..